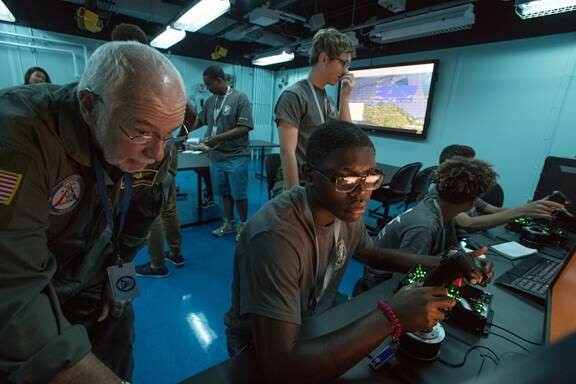 Delta provided scholarships to more than 400 students to participate in an immersive learning adventure aboard the world’s largest simulated aircraft carrier at the National Flight Academy. Throughout the month, students from Delta’s community partner organizations and children of Delta employees spent six days on aboard the “carrier,” Ambition, in Pensacola, Fla. The experience is geared toward 7-12th graders to inspire interest in Science, Technology, Engineering and Mathematics (STEM). 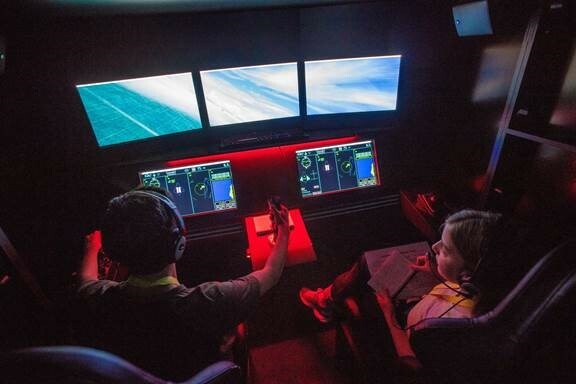 Participants live for six days in a multi-story, 102,000-square-foot facility and experience theme-park style thrills surrounded by advanced technology, flight simulators and virtual reality games that ignite imagination and encourage learning. This year, Delta sponsored the first international student from Junior Achievement – Mexico to participate in the program. The Ambition Experimental Pilots, or AXPs as the students are referred to while aboard, are provided a series of missions throughout the week. Each mission tests AXPs’ mental agility, preparedness and communication skills, while demonstrating the importance of teamwork and goal completion. Through simulator experience and immersive role play, AXPs see firsthand how those in naval aviation respond to and mitigate emergencies in real life. Following an action-packed week, the AXPs’ Squadron Commanders and the Captain hosted a graduation ceremony to celebrate the AXPs’ major accomplishments. The ceremony included awards, personal recognition and inspiring words from Delta’s Flight Operations team, encouraging the students to work hard, do well in school and consider a career in aviation. The experience at the National Flight Academy inspires students to get engaged in STEM careers and learn more about aviation, while also developing leadership, teamwork and communication skills to prepare them for the future. 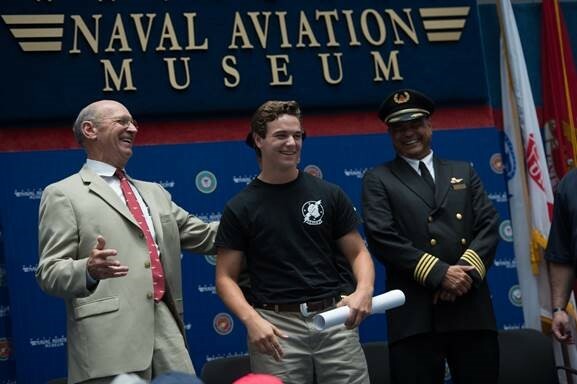 Delta’s support of the National Flight Academy supports Community Engagement’s education pillar. The airline has been partners with the National Flight Academy for four years and continues to grow the partnership including collaboration with Flight Operations and TechOps team.